Bob Girolamo is the Founder at Sorc'd which provides an easy way to organize, recall and discover snippets of relevant content. Within their business platform, teams can save small, digestible pieces of information they find interesting to a private cloud-based environment. Technori podcast: “It’s Pinterest for writers.” Sorc’d lets you be more organized! 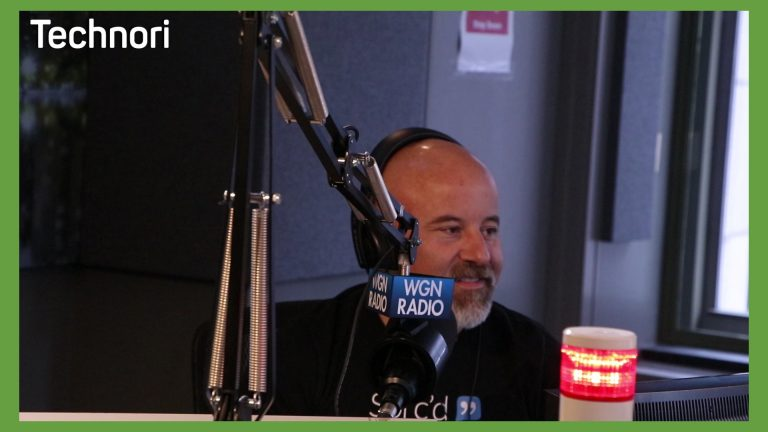 Great speaking with Scott Kitun from Technori.Click here to see the podcast. CHICAGO – June 7, 2016 – Sorc’d [Sorcd.com], the cloud-based aggregator for snippets of content users have deemed noteworthy, today announced the launch of Sorc’d for Microsoft Office. This is an expansion of plans Sorc’d has to seamlessly integrate with content creation partners, augmenting existing systems to create more value for users. The add-on empowers users of Microsoft Office: Word, PowerPoint, and Excel to search and add snippets from the Sorc’d knowledge base directly within Office documents. “Sorc’d gives our joint users the tools they need to be as productive as possible with seamless integration into Microsoft Office products,” proclaimed Rob Howard, director, Office 365 Ecosystem, Microsoft. - Fortune 500 companies lose $30+ billion a year by failing to share knowledge.3 By making relevant snippets of content universally accessible and easily digestible, Sorc’d provides clients – such as content creation and marketing agencies, writers, journalists, marketers, and students – new cross-platform solutions for building stronger content, faster. Unlike other ways to save information, Sorc’d is about efficiency and effectiveness. Without too many bells and whistle, all of the highly intuitive tools are designed with the end goal in mind – to build stronger content, faster. A browser extension enables users to highlight and organize only the pieces of online content they find interesting, such as in an article, blog, presentation or email. These “snippets” can be filtered by category, tag, post type, favorites or date, and link to their original sources. Recalling and importing snippets – both private and public – can be done with a single click via add-ins, like the one in Microsoft Office, or APIs. Users can choose to have the original source link built into the snippet or come after it. Users may create footnotes from links coming after the snippets with a few keyboard shortcuts. Sorc’d connected with Microsoft Corp. through 1871, Chicago’s entrepreneurial hub. 1."Newsroom." New Survey Reveals Extent, Impact of Information Overload on Workers; From Boston to Beijing, Professionals Feel Overwhelmed, Demoralized. Lexis Nexis, 20 Oct. 2010. Web. 11 Apr. 2016. Shechtman, Jason. "Top 3 Reasons Why We Spend So Much Time Searching for Information | Under The Radar Conference | UTRConf. "Under The Radar Conference. Under The Radar, 14 May 2013. Web. 11 Apr. 2016. Quast, Lisa. "Why Knowledge Management Is Important To The Success Of Your Company." Forbes. Forbes Magazine, 20 Aug. 2012. Web. 11 Apr. 2016. "Occupational Employment Statistics Home Page." U.S. Bureau of Labor Statistics. U.S. Bureau of Labor Statistics, n.d. Web. 11 Apr. 2016. "Survey: Demand for Content-marketing Expertise Outpaces Supply of Skilled Job-seekers." Survey: Demand for Content-marketing Expertise Outpaces Supply of Skilled Job-seekers. SkilledUp, 26 Jan. 2015. Web. 11 Apr. 2016. Note to editors: If you are interested in viewing additional information on Sorc’d, please visit http://www.Sorcd.com.